I’m doing something for Lent. 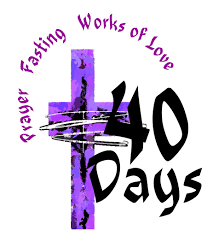 Starting Wednesday 3/1 I’ll be posting everyday for 40 days – until Easter. So I’m going to “thank myself” and what I mean is…I’m going to find a way to encourage, motivate, excite someone elver day to appreciate who they are. Too many times we are so wrapped up in how we don’t live up to expectations – which are usually our own unreasonable ones. So, at the end of the day, I’ll report about what I saw and who I attempted to encourage to “thank themselves”. Follow along if you like. join me. Share if you see something share worthy. Let’s do this together!